Fifteen Number 1 singles, 11 gold, platinum and multi-platinum albums, and four consecutive years as the ACM Entertainer of the Year – so why so glum Kenny? Glum is probably the wrong word. Troubled might be better. Pensive, maybe. Actually, ridiculously self-absorbed gets closer to the truth. 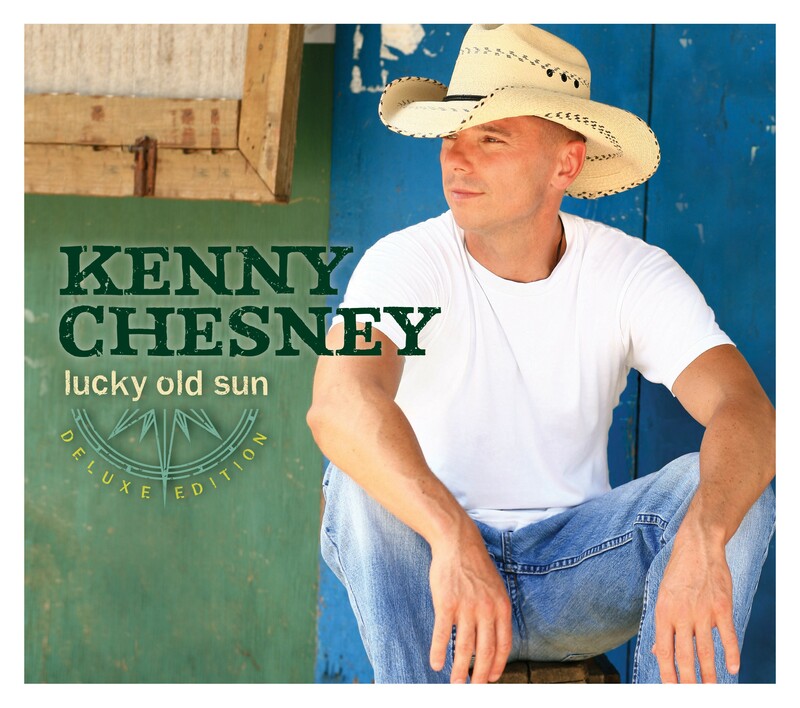 Lucky Old Son, Chesney's thirteenth studio album, starts with the maudlin duet with Dave Matthews, I'm Alive – ''Today that's good enough for me, breathing in and out is a blessing, you see'' – which is redeemed only by co-writer Mark Tamburino's wistfully beautiful melody prettily picked out on guitar. Way Down Here piles on the solipsism with a cloying retreat into self-pity following the breakdown of the now lonesome Chesney's four-month marriage to Renee Zellwegger. Boats is a love song to ''Boats, vessels of freedom, harbours of healing...''. Harbours of healing? How does that work? Happily, keeping the trite lyrics afloat is a gentle and rather attractive tune that offers welcome distraction. KC, apparently, is in love with boats (altogether now: ''Vessels of freedom, harbours of...'' No, I can't, just can't) so the cover of Mac McAnally's land-locked Down The Road turns out to be a metaphor for his nautical passions, José, the Mexican fisherman in The Life, is offered as an aspirational role-model, albeit one that comes with a 12-foot schooner, and title track That Lucky Old Sun, with the legendary Willie Nelson putting in a welcome guest appearance, hymns the joys of living on a boat. Best all round to gloss over Ten With A Two, a throw-away 'guy's anthem' confessional about the apparent perils of waking up with someone you met just the night before, and the quatro-formaggio jauntiness of Everybody Wants to Go to Heaven, albeit its soft-hued reggae embellishments are nimbly provided by the surviving members of Bob Marley's Wailers. Chesney claims the new album, ''comes from a deeper place, from where I am when I am still'', which is not a problem, per se, just that where he is at the moment seems decidedly becalmed, and the claim to depth of feeling fails to explain away the platitudinous lyrics that litter the songs. Fans of the Tennessee troubadour will know what to expect and can expect to like what's here – essentially, more of the same. Already top of the charts in the US and Canada, this will sell by the boatload but despite the claims made for it, it disappointingly smacks of Chesney being all at sea and to no particular musical point or purpose.